This week’s Parasha is taken from Leviticus and Isaiah. Leviticus is the book of the Bible that contains many of the laws and is also the book that we tend not to be to keen on reading. However, in this week’s Torah portion we find out about the different offerings that God instructed his people to make and the reasons why they needed to make these sacrifices. 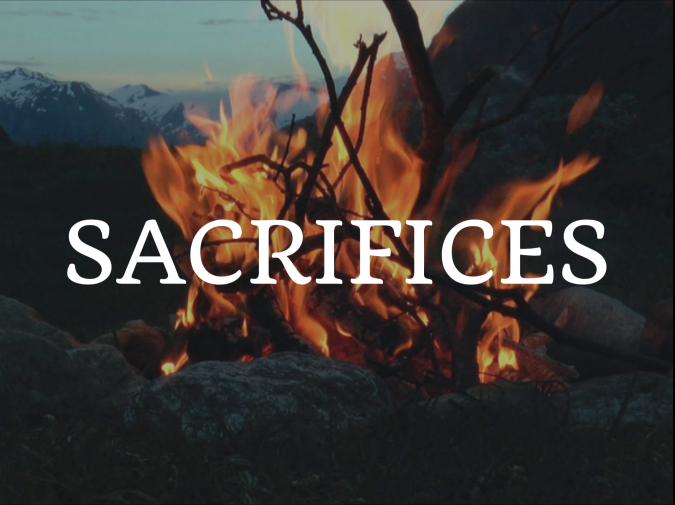 When we look at all the offerings together they create a clear parallel between the sacrifices in this reading and the sacrifice Yeshua made on the cross. The five offerings given are: the burnt offering, the grain offering, the peace offering, the sin offering and the guilt offering. Each one of these had a unique purpose and strict regulations in how they were to be carried out. These regulations ranged from the animal needing to be male and without defect to the grain or bread having to be unleavened. In some of the offerings only certain parts of the animal could be used and it was the role of the priest to prepare the offerings. The first purpose of these offerings was to atone for sins and to be made right(eous) with God. The reading from Isaiah speaks about God’s disappointment about how the Israelites no longer offered sacrifices to God. However chapter 44 goes on to say, “I will pour out my Spirit on your offspring, and my blessing on your descendants.” Here God is speaking about how the Holy Spirit will be poured out on the day of Pentecost and that Jacob’s descendants will be blessed as a result. You may be familiar with John the Baptist’s proclamation at the sight of Christ approaching, “behold the lamb of God who takes away the sins of the world.” He was referring to Christ as the sacrificial offering, the lamb without defect that can atone for our sins. For when he died on the cross he became the perfect sacrifice. It is through Christ’s sacrifice that we can be made holy and righteous. This means that when we ask God into our lives, and are born again with the spirit of holiness Christ becomes our holiness. This enables us to live as holy people set apart for God to fulfil his will in our lives. The second purpose of an offering is to use it as an act of worship to God. Worship is how we respond to God for all that he has given to us; sacrifices and offerings are a great way to worship. This doesn’t mean that we should go and kill an animal and burn it on an alter. It does means that we should respond to God by giving back to him what is his: this could be in the form of giving money to support people who are doing God’s will, or it could be something as simple as giving God our time and waiting upon him. One of the best ways that we can communicate this message the people of Israel is to live it. This means living a holy life where God can be revealed through us, so that people will see God is with us. Let us also pray earnestly that when the people of Israel read about the sacrifices in this weeks Parsha that they see Yeshua the sacrificial lamb in the midst of it.